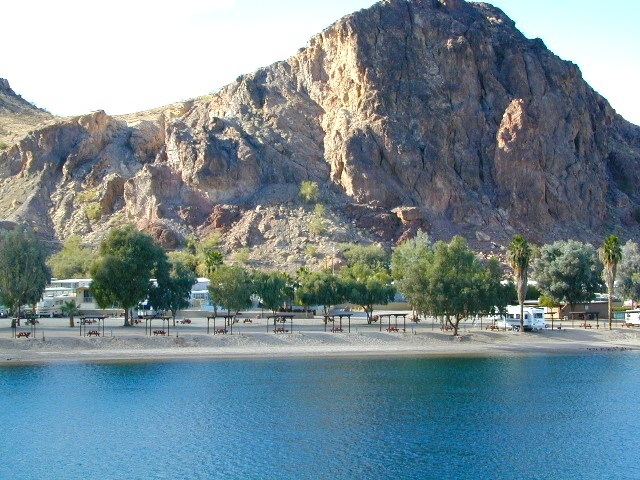 This list is comprised of primitive camp sites and developed campgrounds with views overlooking a large area (valley, town, canyon, desert, river, ocean). Many ideal spots may require dirt road driving, and a few might need a 4-wheel drive vehicle to reach. 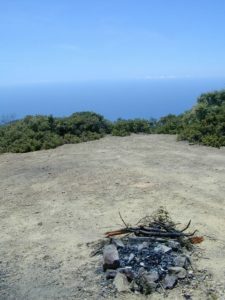 This is by far the best, free coastal camping on the Central Coastline of Big Sur. 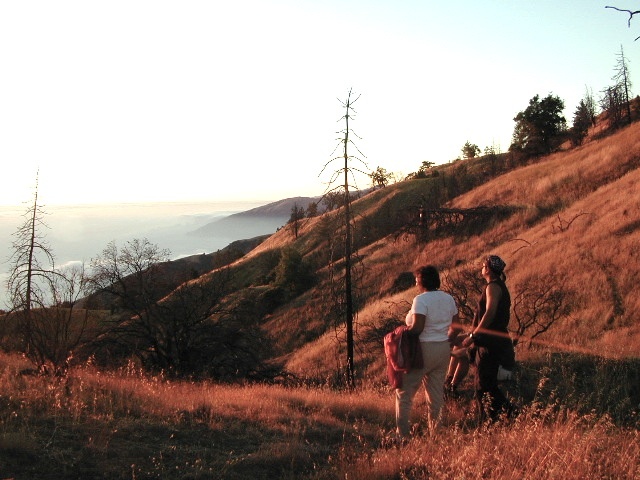 Dirt roads traverse 10 miles out to vacant ridges overlooking the Pacific, with steep hills down to the highway. 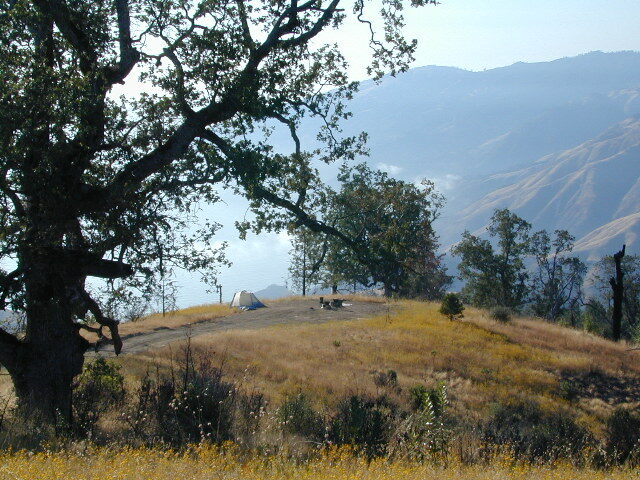 Camp above the fog layer and above the crowds. Explore the beaches during the day, and camp above the traffic & crowds at night. 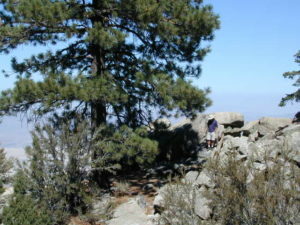 Dry brush is abundant on the mountains of Los Padres National Forest. Camp fire restrictions should be of utmost concern in this area, since wildfires burn here often. 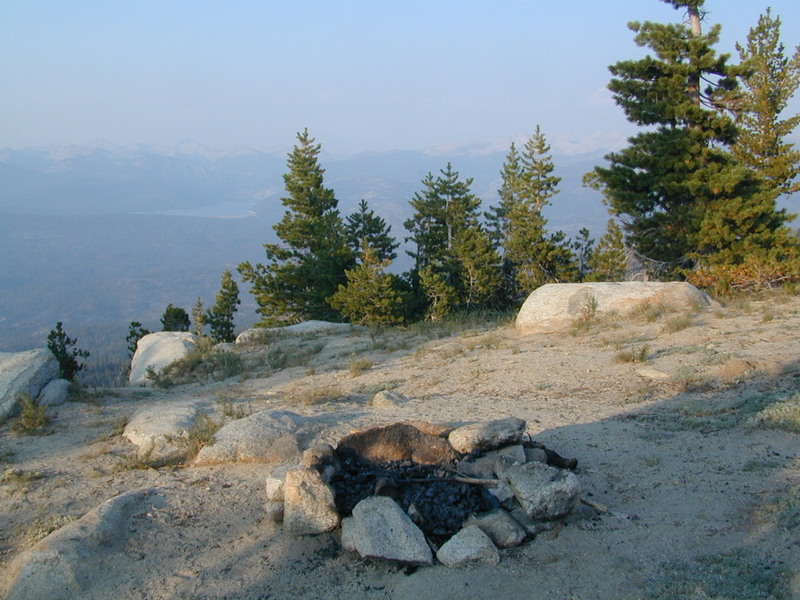 Camp fire permits are required for camping on the back roads, and much of the time camp fires are banned in this region. Call ahead to the rangers to find out the current conditions. 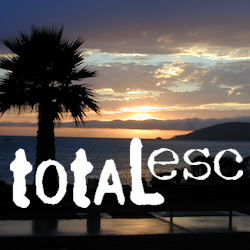 Two prime walk-in camp sites, on a shady point, high above a beach cove w/ scenic waterfall. Called “environmental camps” these highly desirable spots need advanced reservations w/ fees many months in advance. Tables, fire rings and a vault toilet. Bare bones basics, but the ideal location is worth it. A forested cliff on the edge of the ocean, high above a secluded cove. This location a can get windy if a storm moves in (generally October – March). There are several primitive campsites off of M10 with views of chaparral and canyons. Just above Stonyford, CA, on the way up to Fouts Springs. Unfortunately Mendocino National Forest is closed for 2018 due to Ranch Fire (wildfire) w/ Snow Mountain Wilderness completely 100% burnt. San Berdu has more than a few trail camps for 4×4 enthusiasts. Weekends can be busy all year long. Snow usually closes some routes. 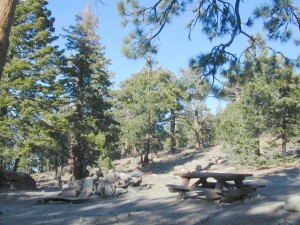 Pine forest in southern California means very tight campfire restrictions. All yellow post camp sites include table and a fire ring. Campfire permits are required. East ridge line, rocky, dusty, 4WD-only route, the John Bull Trail (near Holcomb Valley) has ONE real awesome view camp spot with great spans over the Mojave desert w/ smog and city lights @ night. 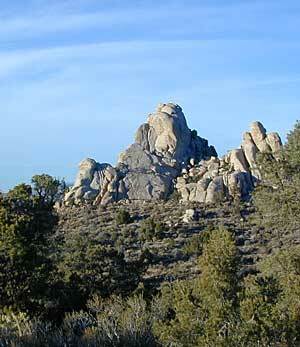 Culp Valley – boulders, primitive camps on dirt roads; better views off-road. Vault toilet. Few tables, no signs. Small campground at the highway is easy to find. 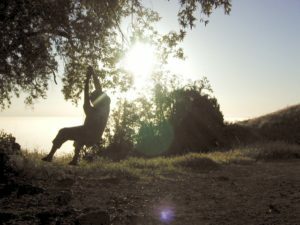 Boulders and bouldering. Mountain biking and hiking. Wildflowers in spring. Providence Mountains SRA @ Mitchell Cavern. 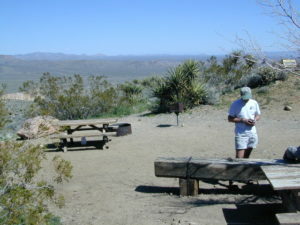 Campground is perched on rocky hill overlooking desert. Tucki Mine, 4×4 route. Unmarked dirt road inside Emigrant Canyon, off Wildrose Road. 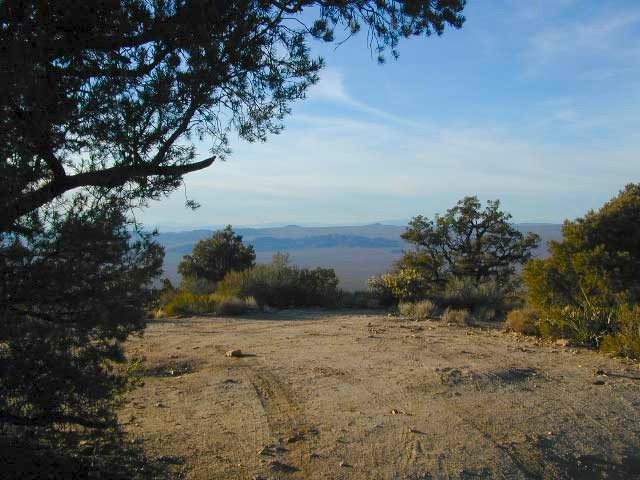 Coyote Flat @ Pinyon Boulders – 4×4 required, one primitive camp w/ great views overlooking the Owens Valley & peaks to the east.